The tubing, in a well produces by the mean of a rod pumping system, represents the second largest investment in the well. Every day, every stroke on the pumping unit can cause wear in the tubing. On ever stroke the rods move up and down. Especially for deviated wells, the rods will always tend to lie on the downside of the tubing. So, on every stroke of the pumping unit, the rods are wearing a path into the metal of the tubing, path that will become a hole in the tubing. In a typical pumping well running at 10 strokes per minute, the rods will move against the tubing 14400 times every day. This wear will eventually cause a tubing failure. 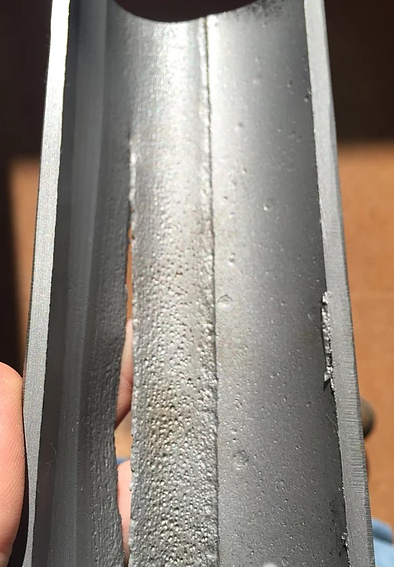 A common tubing failure is termed a “tubing split” and normally will be thin on one side of the tubing’s internal surface (about 20% of the tubing’s circumference) and can be detected by pinging with a hammer, cutting open the tubing, or running a thumb inside the tubing to feel for the thin area. The outside of the tubing will normally have a “tubing split” where a thin crack 1 to 5 inches long runs along the longitudinal axis of the tubing as shown in the following figure. Rod Pumping System is a system of artificial lift using a surface pumping unit to impart reciprocating motion to a string of rods. Rod string then extends to a positive displacement pump placed in well near producing formation. In other words, the primary function of a rod pumping system is to convert the energy supplied at the prime mover into the reciprocating motion of the pumping unit required to transmit energy through the rod pumping to the downhole pump in order to artificially lift the reservoir. The surface pumping unit: which provides the means of turning the rotating power and motion of the motor into the reciprocating motion at the correct speed needed at the pump. 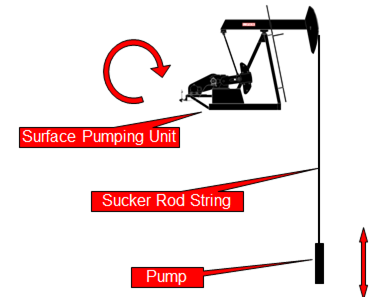 The rod string: that connects the surface unit to the pump and provides the force at the pump to lift the fluid to the surface. The pump: which pumps the fluid to the surface. The integrity of this pumping system is only as good as each of the links or components. Torque is defined as twisting force. To calculate the torque around the rotation of a crank caused by a weight at the end of the crank, you need to multiply the weight times the horizontal distance from the center of gravity of the weight to point of rotation. The International System of Units, SI, (the French Système International (d’unités)), suggests using the unit newton meter (N⋅m). The unit newton meter is properly denoted N⋅m or N m. This avoids ambiguity with mN (millinewtons). In Imperial units, “pound-force-feet” (lbf-ft), “foot-pounds-force”, “inch-pounds-force” are used. Other non-SI units of torque include “meter-kilograms-force” are also used. For all these units, the word “force” is often left out. For example, abbreviating “pound-force-foot” to simply “pound-foot” (in this case, it would be implicit that the “pound” is pound-force and not pound-mass). The crank generates maximum torque when it is in a horizontal position. 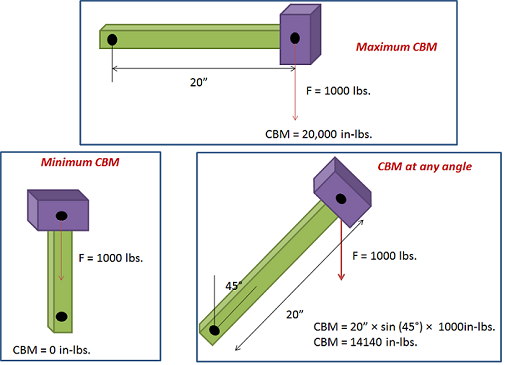 This maximum torque is known as the “Maximum Counterbalance Moment” ( maximum CBM) expressed in inch-pounds. NB: In rod pumping, the CBM is expressed in thousands of inch pounds. 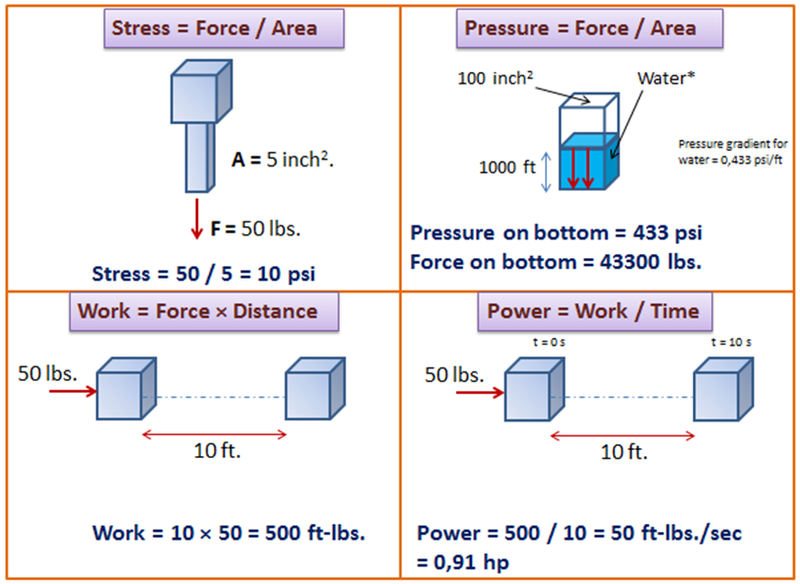 In the present article, we discuss a couple of physical quantities used in artificial lift design such as the concept of stress, pressure, work, power, energy, machine, and efficiency. Stress is defined as force divided by area. So that, to reduce the stress you can either reduce the force or increase the cross sectional area it acts on.